There’s no doubt about it, the Toyota Corolla is the compact car that sets the bar! Toyota’s legendary Corolla is a perpetually huge seller, covering all its bases in the realms of value, safety, efficiency, reliability, and much more. So it’s no wonder you’ve decided to buy one of your own. And because you can’t pass up an incredible bargain when you’re offered one, you’re buying your Corolla from Toyota of Longview. Smart choices all around! Now that the big decision is made, all that’s left is the details. For example: Have you thought about how you’re going to pay for your new or used Corolla? Your two main options are paying cash and financing, and like so many questions in life, there’s no definitive answer. The way you pay depends almost completely on your personal preferences and your financial situation. We’ll take a look at some of the advantages of each payment method below. But it’s worth reiterating that here at Toyota of Longview, you’re going to get a fantastic deal no matter what. Find your Corolla among our huge inventory and then stop by to hear all about our savings opportunities. Let’s say you’ve just sold a vehicle in preparation for buying your new Corolla. Or that you’ve been saving up for this purchase. You might have a lump sum of cash just burning a hole in your pocket, and what better way to use it than to buy your Corolla outright? A cash purchase is just as simple as it sounds: You’ll give us the cash, we’ll give you the keys. There are no financing arrangements to iron out or interest charges to contend with down the line, so you can enjoy the freedom of owning your Corolla right off the bat. Another option? You could use cash to pay down the purchase price of the Corolla and then finance the remainder. This will make your monthly loan payments lower than if you financed the whole cost, and you’ll be able to pay off your Corolla sooner. 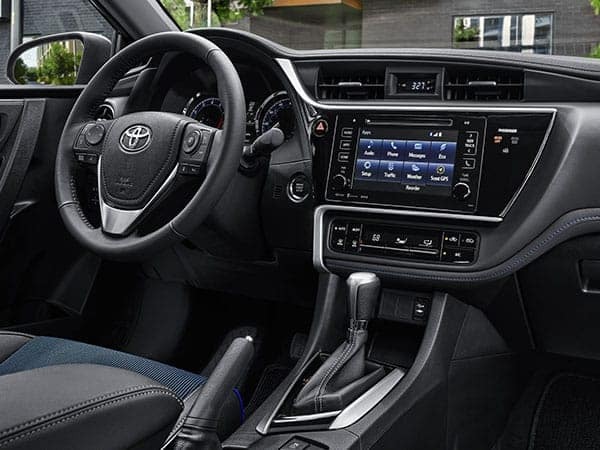 Financing your new or used Corolla with an auto loan is an extremely viable option, especially for those who prefer to pay in smaller increments over time than to hand over cash on the spot. An auto loan will give you the freedom of more manageable monthly payments, and with help from the on-site financing experts at Toyota of Longview, you can get a great loan with low interest and attractive terms. For people who haven’t yet built up a solid credit history, as well as for those whose credit has seen some challenges in the past, this is a compelling advantage. Once you’ve secured a loan and start to make consistent payments on time, you’ll be well on your way to a brighter financial future. At our dealership near Tyler, Kilgore, and Henderson, TX, we have a fantastic selection of new Toyotas and used vehicles of all kinds. And with customer satisfaction as our #1 goal, you can count on finding excellent low prices every day as well as additional savings from factory incentives, special offers, and other deals that will get you into your top pick for less than you ever imagined. Stop by Toyota of Longview today and claim an amazing offer on your Toyota Corolla!